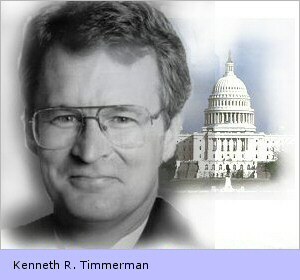 by Kenneth R. Timmerman. Religious Freedom Coalition (exclusive), February 21, 2011. 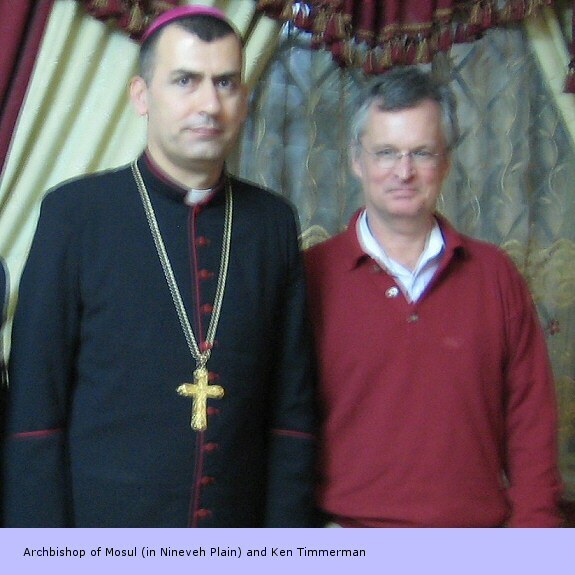 Christians in northern Iraq are suffering day-to-day harassment from the Kurdish occupation forces in the Nineveh Plain, where corruption, a lack of development funds and the continued political stalemate have led many Christians to flee the country for exile abroad. The main Christian political parties in Iraq formed a “Minorities Council” after the Oct. 31, 2010 attack on Our Lady of Salvation church in Baghdad that killed 58 Christian worshippers and wounded 98 more, joining with representatives of the Yazidi and Shabak communities in the Nineveh Plain. Last month, they officially requested that the Nineveh Plain be allowed to form a separate province, or governerate, under the terms of the Iraqi Constitution. So far, no action has been taken on their request, and Christians throughout the north fear that until they are allowed to control their own lives they will continue to be the victims of jihadi Muslim gangs and other terrorist groups. 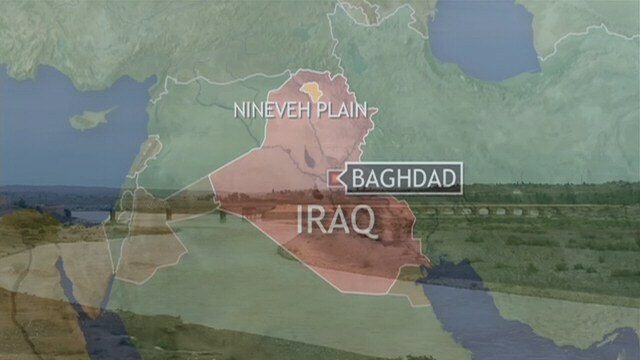 The Nineveh Plain has been in an administrative limbo since 2004. It officially falls under the authority of Mosul, capital of the Nineveh Governorate, but is occupied by the security forces of the Kurdish Regional Government in Erbil. A plan backed by the Religious Freedom Coalition and by the U.S. military to train 770 Christian, Yazidi and Shabak police officers to replace the KRG security forces was thwarted by the deputy governor of Mosul, Khosrow Goran, who is a top member of the Kurdish Democratic Party (KDP). 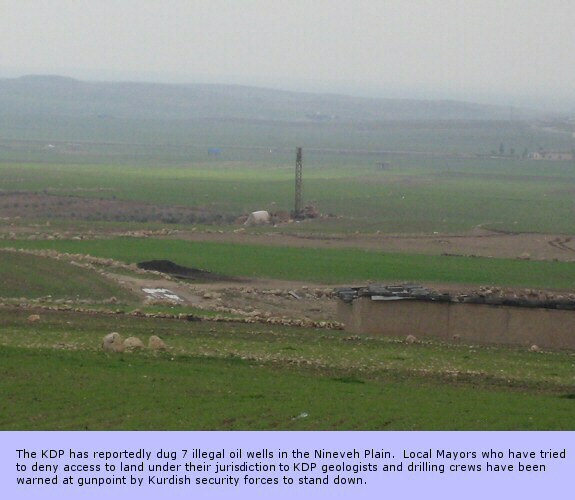 Under KDP leadership, the Kurds have been trying to finalize their de facto annexation of the ancestral Christian homeland. The administrative limbo has had the concrete effect of stalling any form of development aid for the region. 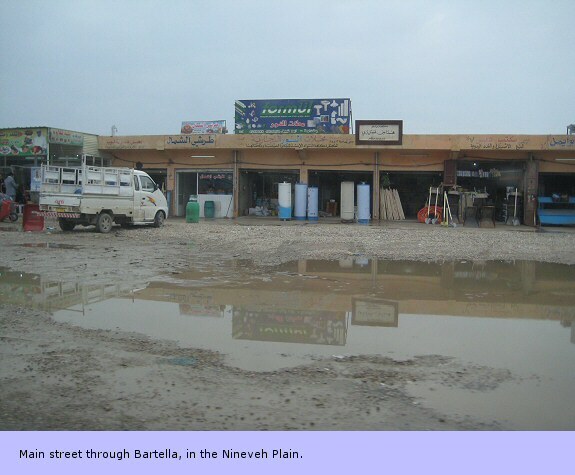 After the heavy winter rains, major streets in Bartella, a key crossroads in the Nineveh Plain, are mired in nearly a foot of mud, with a broken sewer system unable to handle the flow. The single most urgent demand of all secular Christian leaders I met with in northern Iraq last week was the removal of the Kurdish security forces and peshmerga from the Nineveh Plain and their replacement by Iraqi government forces, to create a less tense atmosphere as negotiations over the future status of the region continue. “Christians are the meat in the sandwich between the Arabs and the Kurds,” said the mayor of Tel Keif, Basim Bello. Instead, he said that Christians wanted the Nineveh Plain to become a kind of “green line” between the two warring ethnic groups, which are disputing the oil-rich cities of Kirkuk and Mosul (and the potential oil reserves of the Nineveh Plain itself). Community leaders in Karakosh, the administrative capital of the region, have petitioned Baghdad to build their own hospital and university, so they don’t have to drive hours into Erbil or make the potentially dangerous trip into nearby Mosul, where jihadi Muslim gangs lie in wait and continue to murder Christians on a regular basis. They received strong support from the Archbishop of Mosul, Msg. Emil Shimoun Nona, who told me at the end of the three-day Rogation of the Ninevites ceremony that he felt it was vital for the survival of the Christian community in the north to have their own institutions. “We need our own schools, our own hospital,” Nona said. He urged groups with influence in Congress to talk to members of Congress to get them to apply pressure on Baghdad to allow these projects to go forward. “The U.S. Congress can do a lot,” he said. Some money for these projects could be available through the U.S. Agency for International Development (USAID). Massive unemployment, a lack of adequate housing, and a corrupt administration that local mayors told me siphons of half of their public works budgets, has created a climate of despair among Christians in the Nineveh Plain. The U.S. needs urgently to pressure the Maliki government to take action on the demands of the Minorities Council before more Christians flee Iraq.